If you’ve flipped through our Fall/Winter 2018 issue, you know we’ve introduced you to some of the biggest names in specialty wedding vendors across the Austin area, and some hidden gems, too! Whether you’re looking for a fun photobooth, over-the-top decor, the perfect spot to host guests or even services for your fur babies, we’ve got you covered. Scroll down to learn more about these specialty wedding vendors and the amazing services they have to offer for your special celebration! 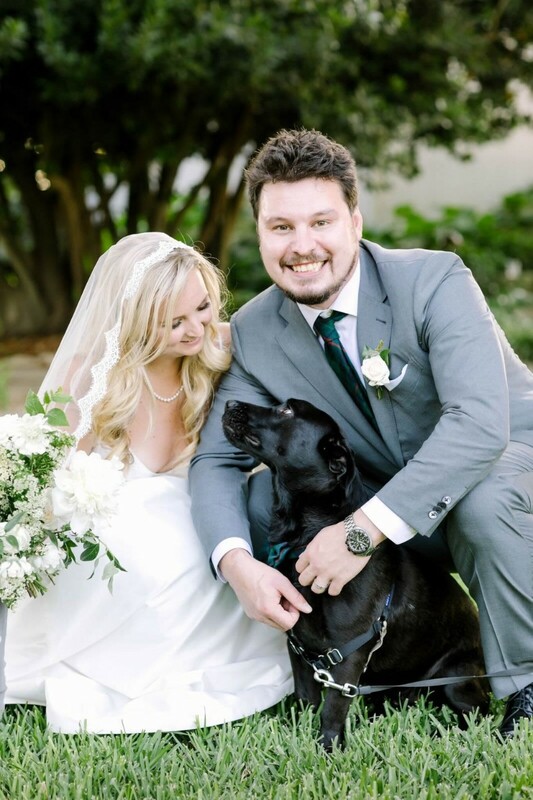 Austin couples adore including their precious pets in their big day plans, however, the logistics can sometimes be a bit cumbersome for a couple with already so much going on. And too often, the pups spend a majority of their time in a kennel or distracting family members from the celebration. Cue The Pet Gal. In addition to the company’s many pet services, The Pet Gal has a special offering for the betrothed and their best buds—wedding pet attendants for hire. 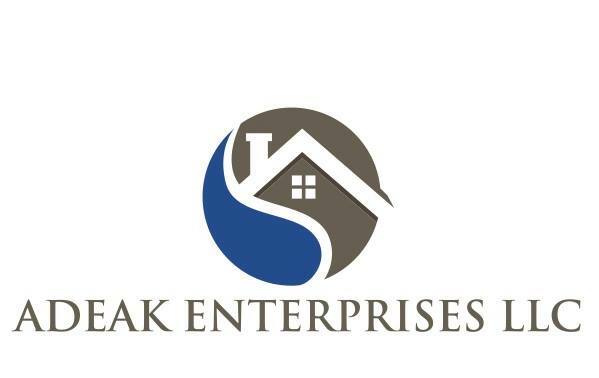 Let the pros handle everything from transport (pet taxi), watering, walks and potty breaks to dressing, aisle escorting and photo shoot assistance. More than one pup? No worries. The Pet Gal will look after as many as you need. Free from stress, brides and grooms will be able to create lasting memories with their beloved fur family. Brides, meet Anna. 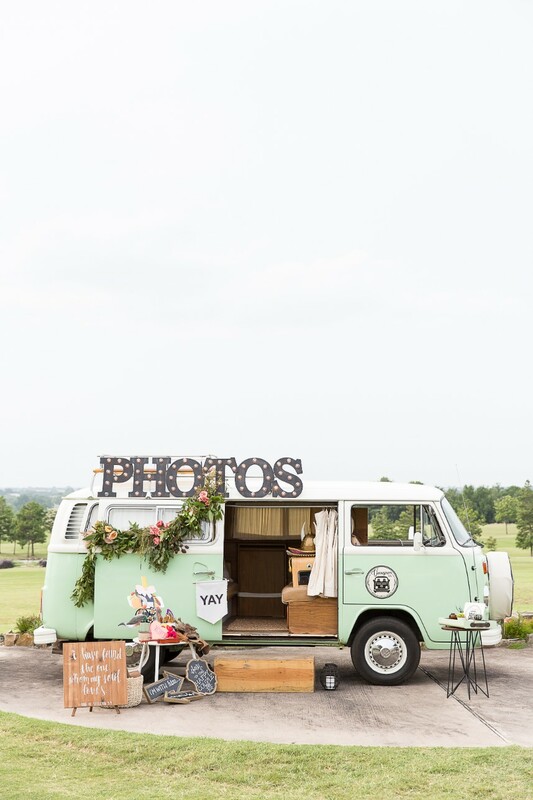 She’s a beautiful, mint-hued 1979 Volkswagen bus that’s been converted into a one-of-a-kind mobile photo booth. After roaming the deserts of Arizona, coastline of California and mountains of Colorado, Anna retired to Austin for a new life making receptions more memorable than ever. Customizable for weddings and special events, this boho photo booth boasts the highest quality cameras, lighting that guests love, cute photo overlays and borders, festive filters, fun props and unique backdrops (macramé tapestry, anyone?). There are two- to six-hour packages to choose from, and they always include animated GIFs, shareable links to Insta, face morphing, marryoke, Dubsmash, and more! 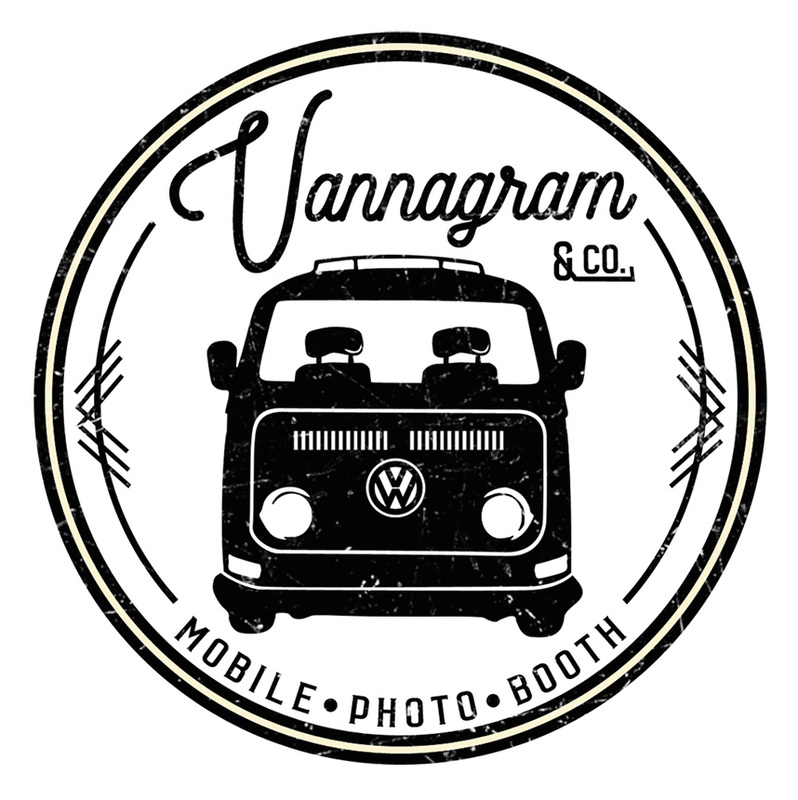 Vannagram has got it all and is uniquely authentic for your ATX I dos. It’s wedding fun, made easy. FunBox was an idea created by two sisters who, after designing and executing events for more than twenty years, knew there needed to be an accessible way for couples to add something interactive and memorable to their event, without the need for an actual attendant’s assistance. Enter: FunBox! They gather all the elements you need for various activities: a vodka bar, a hot chocolate bar, a polaroid guest book, even a photo booth – and ship it to you in a clearly labeled, cutely packaged box so you can set it all up yourself with minimal effort. Your guests will love the added touch, and you’ll love the easy setup and cleanup! It’s a win-win. 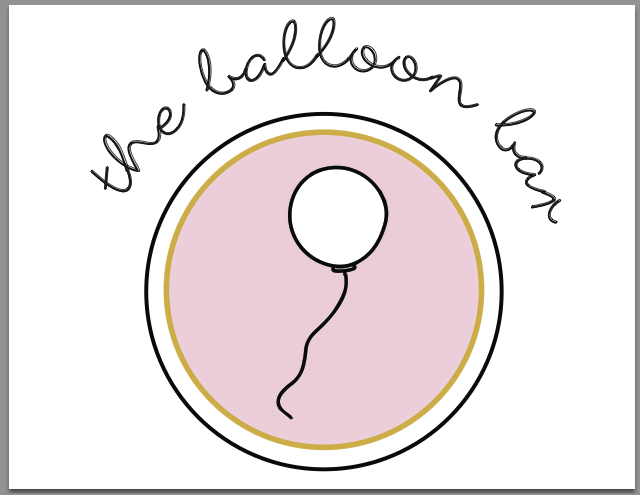 Color us smitten, we’re so in love with the whimsical décor of Austin-based The Balloon Bar. Giant, frilly and oh-so festive, their balloons fill the room (or your wedding photo ops) with smiles. Imagine a custom balloon created just for your playful engagement session or a bold-hued bundle to decorate a bridal shower or bachelorette party. The Insta-worthy balloons will have your squad snapping and posting memories from your spirited gatherings. 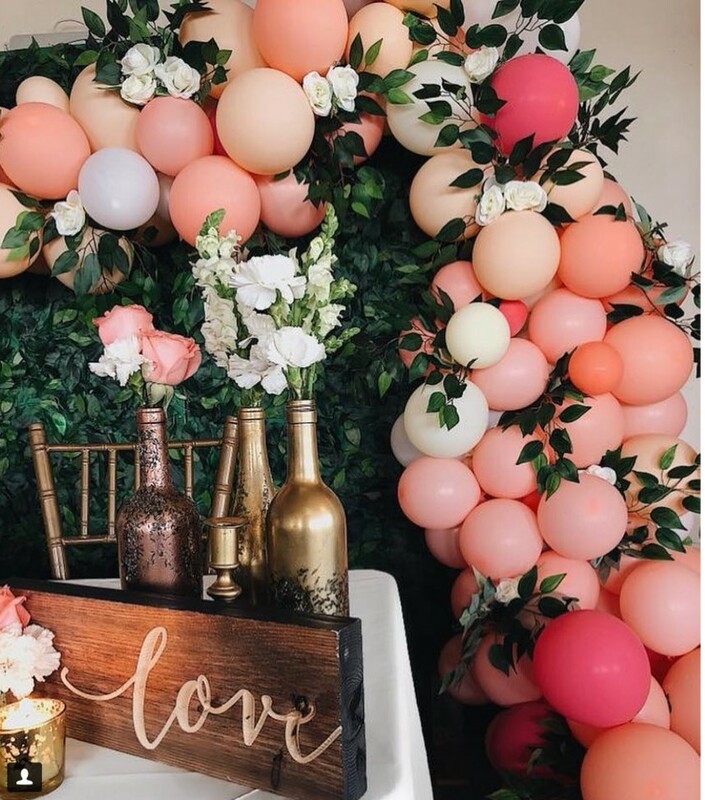 Pick from vibrant colors, metallic letters and numbers, sparkling fringe, dramatic tassels, as well as confetti-filled balloons and balloon garlands — the girls behind The Balloon Bar will create exactly what you need! 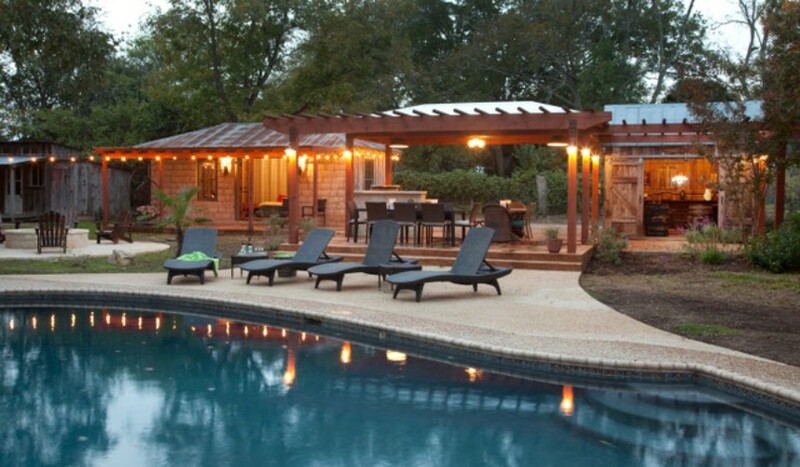 Grab the girls for a pre-wedding retreat or memorable bachelorette weekend in the Hill Country. Splurge on one of Adeak’s gorgeous vacation houses that are not only spacious and located in close proximity to all the fun of Fredericksburg and Hill Country wineries, they’re also immaculate and well-appointed with beautiful furniture. From hot tubs and fire pits to chef’s kitchens and luxe master suites—Adeak has amazing options for your next girl’s trip. Or whisk the fiance away for a little pre-wedding R&R, thank your bridesmaids with an overnight stay and sunrise brunch, plan an affordable honeymoon — whatever you want — these vacay rentals are the perfect setting! « Previous Post: Happy Thanksgiving from Brides of Austin!